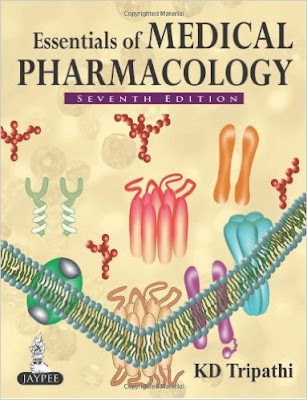 Medical pharmacology is a unique synthesis of basic pharmacology with clinical pharmacology and pharmacotherapeutics. The subject is highly dynamic. Developments are occurring both in defining molecular targets for drug action and finding targeted drugs, as well as in accruing credible evidence regarding the impact of different treatment modalities on therapeutic outcomes. These efforts have begun to crystallize into evidence based medicine and clear cut therapeutic guidelines. The present edition endeavours to amalgamate the developments with the core content of the subject. Being Too Nice Can be Depressive! I was the child who was “too young to understand things” and therefore to make decisions. My life was run by the grown ups, who weren’t able to see the serious damage caused by the primitive belief such as; “children should be seen but not heard.” Then later, I became an young adult, clinging to any guy who’d find anything whatsoever appealing in me. 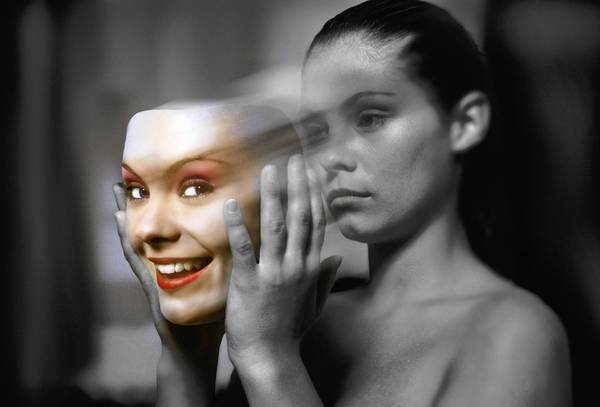 Read more: Being Too Nice Can be Depressive! Peer review is one of the foundations of science. To have research scrutinized, criticized, and evaluated by other experts in the field helps to make sure that a study is well-designed, appropriately analyzed, and well-documented. It helps to make sure that other scholars can readily understand, appreciate, and build upon that work. Of course, peer review is not perfect. Flawed studies are published, and peer reviewers may miss critical problems or errors in particular studies. Reviewers often do not have the time, nor the inclination, to dig deeply into a study’s methods, or assumptions, or supporting materials, in order to find errors or flaws in a research paper. Even though peer review is not perfect, as a journal editor I rely heavily on the evaluations and advice provided by peer reviewers. We spend a great deal of time trying to find the right reviewers for each and every paper that we put through the peer review process, and an equally large amount of time reading, evaluating, and putting into appropriate context the responses that we receive from our reviewers. What is ironic, however, is that despite the importance of peer review in science, it’s not a skill that we typically directly address in our graduate programs, nor in our professional societies. I’m not aware of graduate seminars in “how to be a good peer reviewer”, nor are there materials easily available for scholars to reference when they are asked to undertake a particular peer review task for a journal. The parasitic worms that lurk in some people’s intestines may be revolting, but they seem to forestall Crohn’s disease and other types of inflammatory bowel disease (IBD). A new study might explain how, revealing that the worms enable beneficial microbes in the intestines to outcompete bacteria that promote inflammation. The results could lead to new ways of treating gut diseases by mimicking the effects of the parasites. In people with IBD, inflammation in the digestive tract results in symptoms such as diarrhea and bleeding and can sometimes lead to intestinal obstructions or other severe complications. Because parasitic worms, or helminths, can be harmful, they appear to be unlikely allies against these diseases. “They are called parasites for a reason,” says immunologist Ken Cadwell of the New York University School of Medicine in New York City, a co-author on the new study. However, IBD is rare in parts of the world where helminths are prevalent, and it is surging in more developed countries, where few people now carry the intestinal intruders. That difference suggests, researchers say, that they are protective. 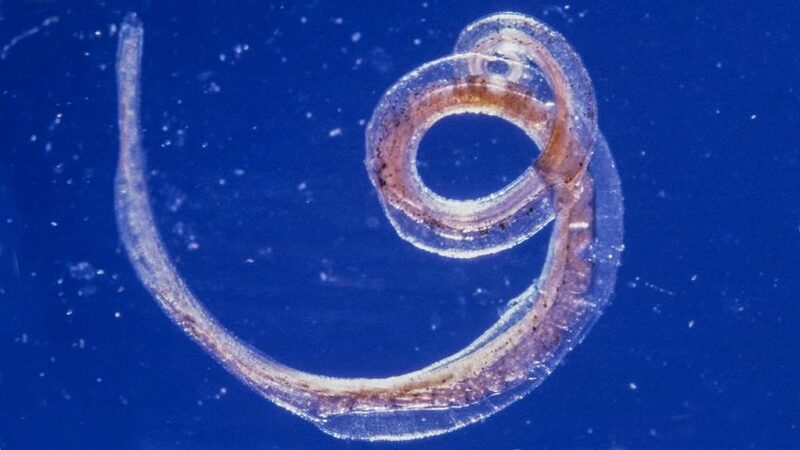 Parasites like this whipworm might protect us from Crohn’s disease by altering our intestinal bacteria. genes that correlate high neoantigen load with increased lymphocytic infiltration and improved survival. After a stroke, there is inflammation in the damaged part of the brain. Until now, the inflammation has been seen as a negative consequence that needs to be abolished as soon as possible. But, as it turns out, there are also some positive sides to the inflammation, and it can actually help the brain to self-repair. "This is in total contrast to our previous beliefs", says Professor Zaal Kokaia from Lund University in Sweden. Zaal Kokaia, together with Professor of Neurology Olle Lindvall, runs a research group at the Lund Stem Cell Center that, in collaboration with colleagues at the Weizmann Institute in Israel, is responsible for these findings. Hopefully, these new data will lead to new ways of treating stroke in the future. The study was recently published in the Journal of Neuroscience. When stroke occurs, the nerve cells in the damaged area of the brain die, causing an inflammation that attracts cells from the immune system. Among them you find monocytes—a type of white blood cells produced in the bone marrow. 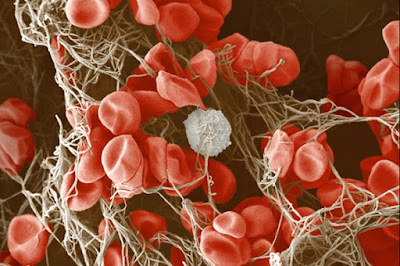 a single white blood cell held together in a meshwork of fibrin (brown). 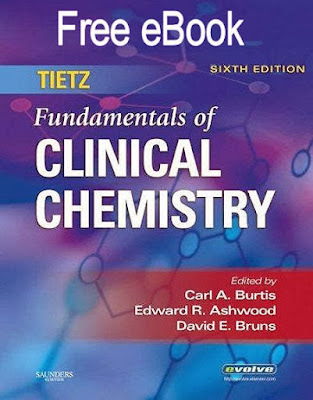 A condensed, student-friendly version of Tietz Fundamentals of Clinical Chemistry, this text uses a laboratory perspective to provide you with the chemistry fundamentals you need to work in a real-world, biomedical laboratory. Accurate chemical structures are included to explain the key chemical features of relevant molecules. Offering complete, accurate coverage of key topics in the field, it's everything that you expect from the Tietz name! More than 500 illustrations and easy-to-read tables help you understand and remember key concepts. Key words, learning objectives, and other student-friendly features reinforce important material. Chapter review questions are included in an appendix to test your knowledge. A two-color design makes it easier to read and easy to find important topics. 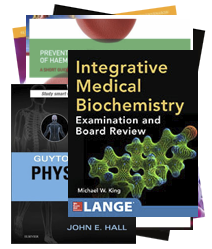 In-depth, reader-friendly content is appropriate for MT/CLS and MLT/CLT students and may also be used by laboratory practitioners, pathology residents, and others. Medical laboratory scientists require a significant amount of formal education. Learn about the degree, job duties, and certification to see if this is the right career for you. 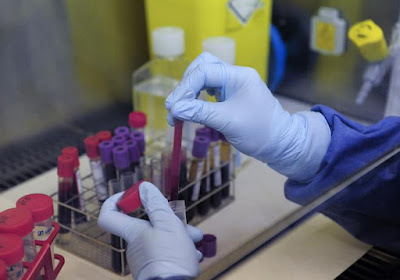 Medical laboratory scientists, also known as medical laboratory technologists, conduct lab tests related to the detection and cure of diseases. They use complex medical equipment to analyze body fluids or tissue samples for bacterial infection, hormone levels, and other chemical components affecting human health. A bachelor's degree with a major in one of the life sciences can open the door to this career. Wages for medical laboratory scientists vary based upon experience and job location. The mean annual salary earned by medical and clinical laboratory technologists was $60,560 as of May 2014, according to the U.S. Bureau of Labor Statistics (www.bls.gov). 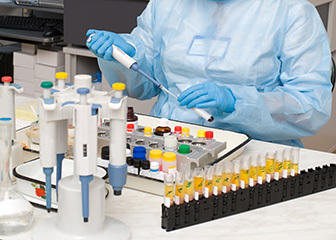 Hospitals are the largest employer of medical and clinical laboratory technologists; those working in this environment earned an average salary of $61,600 annually in 2014. However, the highest paying industry, according to the BLS, is pharmaceutical and medicine manufacturing, paying an average salary of $71,910 as of May 2014. The BLS also states that the projected job outlook for medical and clinical laboratory technologists and technicians is 22% for the years 2012-2022. Scientists don’t know exactly what causes diabetes. They think that type 1 diabetes is a disease in which your immune system attacks your own cells as if they were foreign invaders. This is called an autoimmune disease. 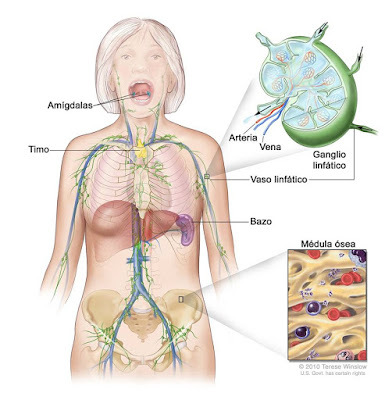 In type 1 diabetes, your immune system attacks your pancreas cells and destroys their ability to make insulin. 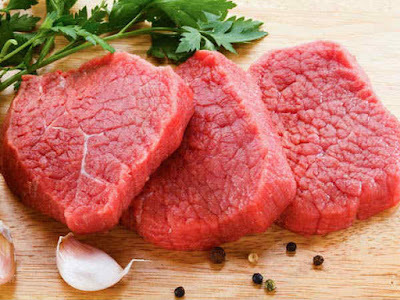 Most scientists believe that an environmental factor, such as a virus, triggers this process in your body. Your genes play a role as well. Certain people are more prone to develop diabetes. Likewise, health experts don’t fully understand what causes type 2 diabetes. They do know that it is closely linked to obesity and it tends to run in families. Type 2 diabetes is the most common type of diabetes but you can prevent it in many cases. If you have type 2 diabetes, you may be able to reverse or control high blood sugar through diet and exercise. However, you will always have diabetes and you will always need to manage it to prevent serious health problems. Both type 1 and type 2 diabetes are chronic, lifelong conditions. Currently, there is no permanent cure for either type. However, there is hope in research for a cure and in prevention. While you can’t prevent type 1 diabetes, you may be able to prevent type 2 diabetes. Maintaining a healthy weight, eating a healthy diet, and exercising regularly are all ways you can help prevent type 2 diabetes. 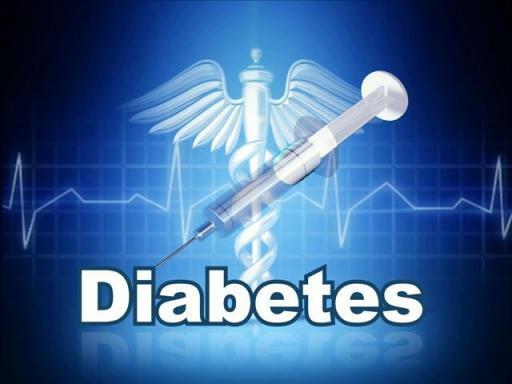 Read more: Can diabetes be cured? Can we really outgrow asthma? If you're one of the 25 million Americans who have asthma, you probably want to know if you're always going to be living with it. If you're a parent of one of the 7 million U.S. children with asthma, you probably want to know if your child might outgrow it. The short answer: That depends. Here's why. About half of all children with asthma start having symptoms before age five. However, it's hard to diagnose asthma in a child under age five. That's because the lung function tests that are most important for making the diagnosis are too hard for a young child to perform. If you have a child with asthma symptoms, there is about a 50% chance your child will outgrow the symptoms. But there's also a 25% chance those symptoms will come back once the child is an adult. This means the chance of your child permanently outgrowing asthma is about 25%. Read more: Can we really outgrow asthma? DNA damage detected in patients after CT scanning. Using new laboratory technology, scientists have shown that cellular damage is detectable in patients after CT scanning. In this study, researchers examined the effects on human cells of low-dose radiation from a wide range of cardiac and vascular CT scans. These imaging procedures are commonly used for a number of reasons, including management of patients suspected of having obstructive coronary artery disease, and for those with aortic stenosis, in preparation of transcatheter aortic valve replacement. 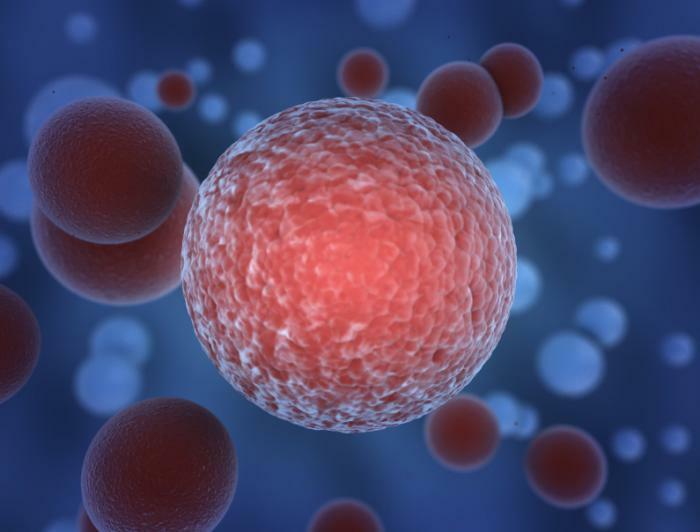 Using new laboratory technology, scientists have shown that cellular damage is detectable in patients after CT scanning, according to a new study led by researchers at the Stanford University School of Medicine. "We now know that even exposure to small amounts of radiation from computed tomography scanning is associated with cellular damage," said Patricia Nguyen, MD, one of the lead authors of the study and an assistant professor of cardiovascular medicine at Stanford. "Whether or not this causes cancer or any negative effect to the patient is still not clear, but these results should encourage physicians toward adhering to dose reduction strategies." 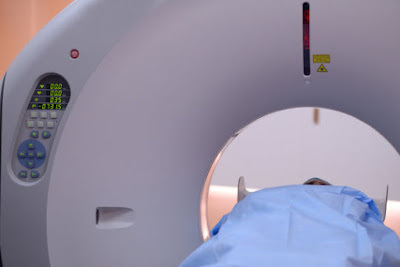 Read more: DNA damage detected in patients after CT scanning. create mutations that spur cells to grow into tumors. In 2013, two independent teams of scientists, one in Maryland and one in France, made a surprising observation: both germ-free mice and mice treated with a heavy dose of antibiotics responded poorly to a variety of cancer therapies typically effective in rodents. The Maryland team, led by Romina Goldszmid and Giorgio Trinchieri of the National Cancer Institute, showed that both an investigational immunotherapy and an approved platinum chemotherapy shrank a variety of implanted tumor types and improved survival to a far greater extent in mice with intact microbiomes. The French group, led by INSERM’s Laurence Zitvogel, got similar results when testing the long-standing chemotherapeutic agent cyclophosphamide in cancer-implanted mice, as well as in mice genetically engineered to develop tumors of the lung. 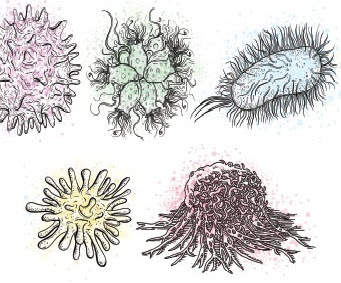 Read more: Microbes and Cancer. Some 2.3 million people around the world are infected with both HIV and the hepatitis C virus (HCV) at the same time. The two are often intertwined, with HCV being the top cause of death aside from AIDS for co-infected patients. While there are currently vaccines for both hepatitis A and hepatitis B, there is no vaccine for hepatitis C. Likewise, HIV/AIDS treatment has improved significantly in recent decades, but there is still no vaccine. In a new study, researchers note that a combined HIV and hepatitis C vaccine may soon be on the horizon. The study, which was presented at The International Liver Congress in Barcelona, describes how a combined vaccine would involve two main steps: first, exposing the immune system to adenoviral vectors that contain fragments of both HCV and HIV viruses, which would trigger antigens; and afterwards, administering booster vaccinations in an MVA vector containing the same HCV and HIV virus fragments. HIV, or the human immunodeficiency virus, causes HIV infection and over time, acquired immunodeficiency syndrome (AIDS). HCV is also a viral infection that mostly targets the liver, resulting in symptoms of fever, dark urine, stomach pain, and eventually liver disease, cirrhosis (scarring of the liver), or liver failure. the way for a combined vaccine in which they're administered at the same time. Diabetes once a problem of the rich, now belongs to the poor too. As the global diabetes rate soared over the past quarter-century, the affected population transformed: What was once predominantly a rich-country problem has become one that disproportionately affects poorer countries. That's one of the many conclusions of the World Health Organization's first global report on the chronic disease. 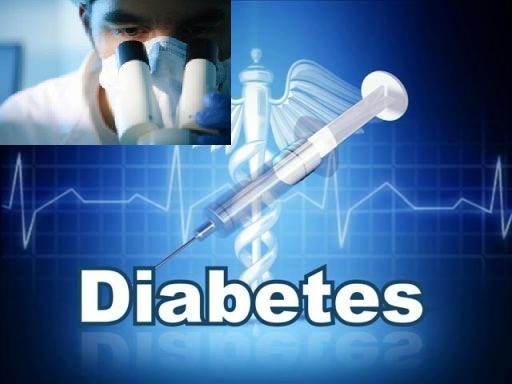 Worldwide, diabetes rates nearly doubled, from 4.7 percent in 1980 to 8.5 percent in 2014. 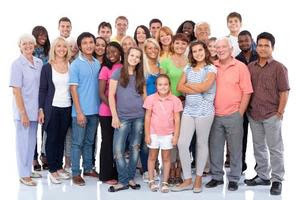 Roughly one in 12 people living in the world today have the disease, which has spread dramatically. Read more: Diabetes once a problem of the rich, now belongs to the poor too. 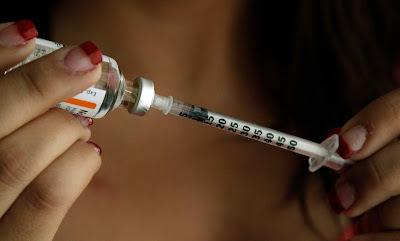 A woman fills a syringe as she prepares to give herself an injection of insulin. Key to making reversible, non-hormonal male contraceptives! Scientists are getting closer to developing a new kind of reversible male contraceptive that doesn't produce any hormonal side effects. While a commercial drug could still be some way off, the researchers have managed to isolate a key enzyme found only in sperm. Now that they've identified it and can manufacture this enzyme, the team hopes to target it with a range of drug candidates. With the right drug, it should be possible to decrease sperm motility – their ability to swim – which could prevent sperm from egg fertilisation. "The milestone reached is the production and isolation of a full-length, active kinase enzyme in sufficient quantities to conduct drug screens," said researcher John Herr from the University of Virginia School of Medicine. "Isolation of an active, full-length form of this enzyme allows us to test drugs that bind to the entire surface of the enzyme so that we can identify inhibitors that may exert a selective action on sperm." The enzyme in question – called testis-specific serine/threonine kinase 2 (TSSK2) – is unique to the testes, and also appears to only be involved in the final stage of sperm production. That's important, the researchers say, because it makes it more likely that any drug candidate that successfully targets the enzyme won't produce any side effects elsewhere in the body. Read more: Key to making reversible, non-hormonal male contraceptives! Antibiotics not promote resistance through gene conjugation. The exponential rise of antibiotic drug resistance is a considerable threat to global public health. Researchers are continually searching for the underlying mechanisms that promote this resistant phenotype. Some evidence exists to suggest that antibiotic use encourages the spread of bacterial resistance through genetic swapping. However, new research suggests that these examples are outliers and not indicative of the majority of bacterial populations. Researchers at Duke University suggest that differential birth and death rates of microbes and not DNA donation are to blame. The results have implications for designing antibiotic protocols to avoid the spread of antibacterial resistance. "The entire field knows there's a huge problem of overusing antibiotics," noted senior study author Lingchong You, Ph.D., associate professor of engineering at Duke University. "It is incredibly tempting to assume that antibiotics are promoting the spread of resistance by increasing the rate at which bacteria share resistant genes with each other, but our research shows they often aren't." 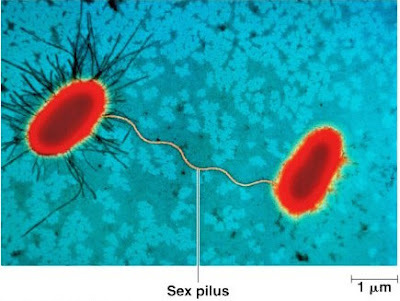 Investigators have known for decades that bacteria can swap genetic elements through a process called conjugation, which allows helpful genes to spread quickly between individuals and even between species. Because the number of resistant bacteria rises when antibiotics fail to kill them, many researchers have assumed that the drugs increased the amount of genetic swapping taking place. The Duke researchers, however, hypothesized that the antibiotics were killing off the two "parent" lineages and allowing a newly resistant strain to thrive instead. Read more: Antibiotics not promote resistance through gene conjugation. You’ve always been the type of person who takes a painstaking amount of time to make sure the details are correct and meticulously recorded. You’re a multitasking whiz who enjoys order and routine in your life. Wouldn’t it be great if you could find a career that capitalized on all of these characteristics? It’s important to make sure that your personality and natural gifts align with the profession you pursue. You’ll be happy to hear that a medical lab tech career might be right up your alley! This will allow you to join the fast-growing healthcare field while still getting to work a technical, behind-the-scenes job. If this seems like an ideal option for you, keep reading to see if you have what it takes to launch a successful medical lab tech (MLT) career! We spoke with Tammy Renner, Rasmussen College’s national MLT program director and 33-year MLT veteran, to identify some common characteristics that the best MLT’s share. See how many describe you! MLTs usually have a strong background in chemistry, biology and physiology. Specifically, knowledge of tissues and cells is required, as is an expert understanding of chemical compositions and interactions. Building a career in the biomedical laboratory sciences. 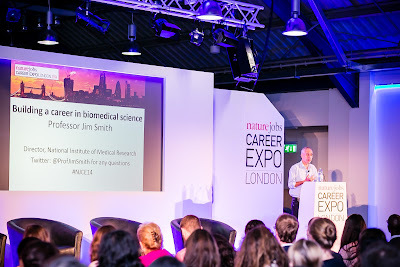 Passion is the key to success, says Jim Smith in his keynote speech at the London NatureJobs Career Expo. Jim Smith is a successful scientist by anyone’s measure. The UK scientist helped discover key growth factors required for the early development of embryos, and has received numerous awards for his scientific contributions. Smith now juggles three high-level roles at the UK Medical Research Council (MRC), National Institute of Medical Research and the soon-to-be-opened Francis Crick Institute in London with the running of his own lab at the MRC. Like many people who have excelled in their field, Smith’s career has the illusion of being planned from the start. However he says this was not the case. He didn’t study biology until he was persuaded to take a cell biology class at the University of Cambridge while studying for a degree in natural sciences. He fell so in love with the subject that he progressed to a PhD studentship with the famous development biologist Lewis Wolport. “You should allow yourself to fall in love with your subject, become engrossed by it,” Smith says. This passion is a key to success he stresses, because it drives you to put the necessary effort in. “There are times in your career when you know that working twice as hard will produce double the results, at these times you should work 3 or 4 times as hard,” Smith says. Finding the ‘niche’ in science that you are most passionate about can be challenging. Read more: Building a career in the biomedical laboratory sciences. Harvard scientists are stunned by superhuman abilities of Himalayan monks. The Harvard research team also recorded monks drying cold, wet sheets with body heat. They also documented monks spending a winter night – when temperatures reached zero degrees F – on a rocky ledge 15,000 feet high in the Himalayas — wearing only woolen or cotton shawls. These remarkable feats, the Harvard research team observed, were achieved by intense daily meditations, guided exercises and spiritual conditioning. 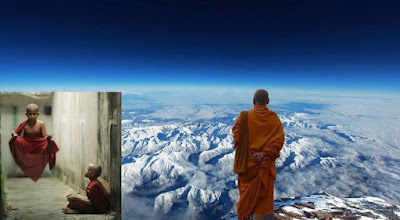 Read more: Harvard scientists are stunned by superhuman abilities of Himalayan monks. Smart contact lenses with a builtin camera! Samsung just took another step into science fiction. South Korea has just granted the tech giant a patent for contact lenses with a display that can project images straight into the user's eye. The news comes from a Samsung-centric blog SamMobile. The lenses are equipped with a built-in camera and sensors that can be controlled simply by blinking. Content is sent to your smartphone through embedded antennas. This is where the data is processed. It seems that Samsung is developing the smart contact lenses as an alternative to creating improved augmented reality experiences over the current crop of wearables, reports SamMobile. With contact lenses instead of glasses, users will be able to enjoy augmented reality content more discreetly. A glimpse at the future. 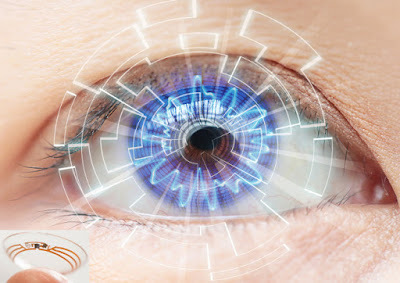 Read more: Smart contact lenses with a builtin camera! Much of our understanding of human physiology, and of many aspects of pathology, has its antecedents in laboratory and clinical studies of hemoglobin. 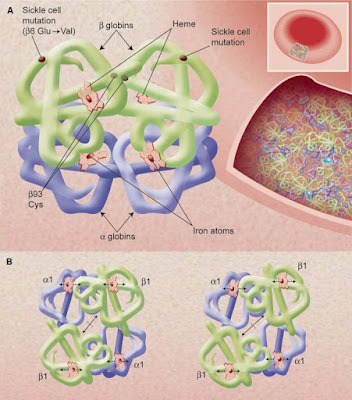 Over the last century, knowledge of the genetics, functions, and diseases of the hemoglobin proteins has been refined to the molecular level by analyses of their crystallographic structures and by cloning and sequencing of their genes and surrounding DNA. In the last few decades, research has opened up new paradigms for hemoglobin related to processes such as its role in the transport of nitric oxide and the complex developmental control of the α-like and β-like globin gene clusters. It is noteworthy that this recent work has had implications for understanding and treating the prevalent diseases of hemoglobin, especially the use of hydroxyurea to elevate fetal hemoglobin in sickle cell disease. It is likely that current research will also have significant clinical implications, as well as lessons for other aspects of molecular medicine, the origin of which can be largely traced to this research tradition. During the past 60 years, the study of human hemoglobin, probably more than any other molecule, has allowed the birth and maturation of molecular medicine. Laboratory research, using physical, chemical, physiological, and genetic methods, has greatly contributed to, but also built upon, clinical research devoted to studying patients with a large variety of hemoglobin disorders. A team of physicists and engineers at Case Western Reserve University in Cleveland, OH, has created an optical biosensor for cancer detection using nanostructured metamaterials that are 1 million times more sensitive than previous versions, pointing the way toward an effective early detection system for cancer and other illnesses. The device, which is small enough to fit in the palm of a hand, has been developed to provide oncologists with a way to detect a single molecule of an enzyme produced by circulatingcancer cells. 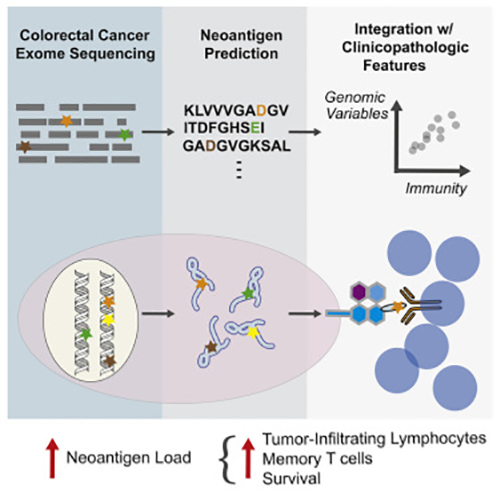 Such detection could allow doctors to diagnose patients with certain cancers far earlier than possible today, monitor treatment and resistance, and more. The research, published online in the journalNature Materials, describes how the nanosensor acts like a biological sieve, isolating a small protein molecule weighing less than 800 quadrillionths of a nanogram from an extremely dilute solution. "The prognosis of many cancers depends on the stage of the cancer at diagnosis," says Giuseppe "Pino" Strangi, professor of physics at Case Western Reserve and leader of the research. than previous versions, enabling an early detection system for cancer. Kids love peanut butter and milk, but for some they can cause food allergy symptoms such as hives and swollen lips, or a life-threatening anaphylactic reaction. How can parents prevent that scary scenario? Read on for the Health Detective’s findings...Minutes after downing a Butterfinger candy bar, a sixth-grade boy from Kent, Wash., experienced severe nausea, stomach pain and belly cramping – classic food allergy symptoms. The boy had a peanut allergy, and the candy contains roasted peanuts. “I gave him Benadryl [an antihistamine], but it didn’t help,” says his school’s nurse, Sheri Siedentopf, R.N. Fearing a life-threatening anaphylactic reaction, she injected him with epinephrine and then called 911 and his parents. “Thankfully, he improved in a few minutes,” she says. Still too high in fat and sodium in kids' meals. What will it take to get children to choose fruit instead of ice cream when eating out? 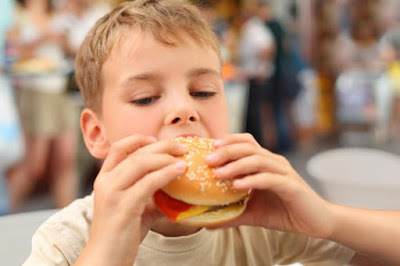 Despite a move by many restaurants toward healthier kids' meals, research published in the Journal of Nutrition Education and Behavior shows that while calorie ratings have improved, there is still a way to go in reducing fat, sodium and sugar. For many American children, eating out is routine. Studies show that, while home-prepared food has more nutritional value than restaurant meals, the diets of most children in the US already lack fruits, vegetables and low-fat dairy items. The options available in restaurants, meanwhile, often contain excess calories, solid fats, sodium and added sugar. Many restaurants have already begun offering healthier choices for children, in anticipation of legislation that will require calorie counts to be included on menus from December 2016. For the past 6 years, healthier children's dishes have been among the top 10 food trends in the National Restaurant Association's annual survey of chefs. 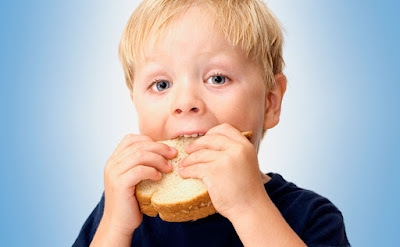 Read more: Still too high in fat and sodium in kids' meals. Fat and sodium still feature excessively in kids' meals.